Interesting update on the Chough, Ravens and Blackbirds on Ramsey Island by RSPB wardens Greg and Lisa. Our Ravens are sitting on eggs and with the garden blackbirds attempting to build a nest to rival that of their somewhat larger cousins, spring must be here. Despite the cold, damp weather and a distinct lack of sunshine it is time to start keeping an eye on our chough pairs too. But it’s all change in the Ramsey chough world, with the loss of two of our oldest birds over-winter. Firstly is the sad disappearance of our oldest ‘ringed’ male. He was born on Ramsey in 2000 and was the only chick to fledge from Garlic that year, a nest high up in a rock crevice on a 80 meter sheer cliff face. A real challenge for our licensed ringers! He was fitted with plastic colour rings just before fledging; a white ring on his left leg and orange and red on his right. These rings have allowed rspb wardens to follow his progress ever since. He hung around on Ramsey as a young bird, mixing with the feeding flock throughout his first winter and the following summer. 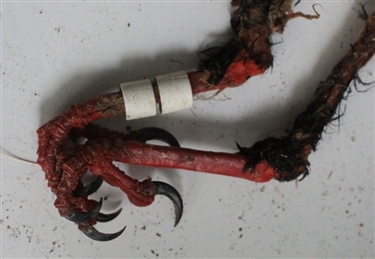 And then last week I found the remains of another ringed bird, a male born in 2006 and fitted with two white rings on his left leg. He was paired up with a partner by the autumn of 2007 and bred for the first time in 2009. I had seen him feeding with his partner on 9 February but found his legs and head, freshly predated by a Peregrine Falcon on 27 February! 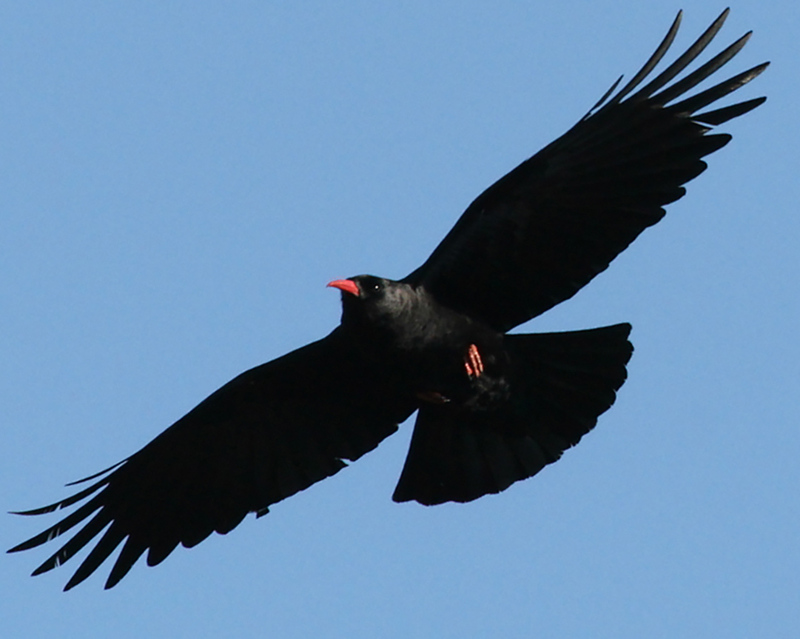 Although only 10 years and 8 months at the time of his death, he was still a good age for a chough and had produced 18 young in that time. But nothing stands still for long. The wife of ‘orange and red’ already has a new mate. He’ll have a lot to live up to.